In the “The City of Gentle People” Filinvest has started another prime development geared up for the city’s first ever township project. Marina Spatial sits on a 1.9-hectare property where sunrise and sunset views are a come-on attraction for unit owners. Marina Spatial is a mid-rise condominium community with an enviable location across the serene Dumaguete Bay within the Marina Town development. It offers more open areas, refreshing landscape and elegant interiors to match the vibrant lifestyle of its occupants. At the Marina Spatial, you’ll also enjoy a majestic view of Siquijor, Cebu, Bohol and Sumilon. Real-estate giant Filinvest has again pioneered this avant-garde residential development in Dumaguete City. With its more than 50 years of impressive portfolio, expertise and experience in real estate development, this company has been known to develop residential enclaves and iconic landmarks to help improve the quality of life of Filipinos. Filinvest started the Marina Spatial project as it looks forward to becoming the forefront of growth in this area. The Marina Spatial is developed by Futura Homes, Filinvest’s value-homes brand under its Spatial Series. Just like all other projects under the Spatial Series such as the One Spatial in Pasig and Iloilo, the Marina Spatial brings a balanced space that promotes the flow of healthy energy, vitality, freshness and joy. The Spatial homes are considerably more affordable that Filinvest’s Oasis series. And like other Spatial projects, the Marina Spatial also features lots of open spaces with the buildings only occupying up to 40 percent of the land area. The Marina Town where the Marina Spatial is a part of, is a peaceful townscape that reshapes the lifestyle of the local people. It boasts of more open areas with commercial establishments and office spaces fronting the beautiful Dumaguete Bay. This townscape showcases Filinvest’s expertise in the development of fully integrated lifestyle projects. There will be 3 buildings at the Marina Spatial, with a total of 600 units. Building A is an L-shaped tower composed of 10 floors of residential units. There are 3 different types of units available. Studio units – there are 10 studio units in Building A and these units have less than 32 sqm of floor area. Studio units are more suited for professionals or university students. Each studio unit is spacious enough for you to have your own sleeping area, dining, living and small kitchenette. 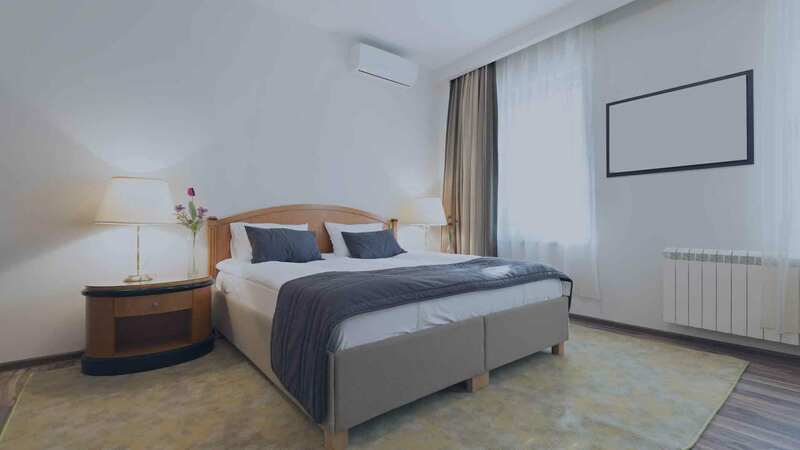 If you are coming to the city to study or work, this unit is an excellent choice considering that the location of the Marina Spatial is close to the business hubs and just some minutes’ ride from the universities. 2-bedroom units – A typical 2-bedroom unit has a floor area of 32 sqm. It has a master’s bedroom and a regular room which measures 8.73 sqm and 7.43 sqm respectively. This unit also has 1 toilet and bath and a provision for living, dining and kitchen areas. If you are a family of 4, this type of unit is a good option for you. Alternatively, if you are single, you can get a 2-bedroom unit and have the other room rented for extra income. There are 232 2-bedroom units in Building A. 3-bedroom units – Building A has a total of 12 3-bedroom units and they are ideal for families with several kids. The typical floor area of this unit is 64 sqm with a spacious provision for kitchen, living and dining areas. Whether you are a local or have just migrated to the city for work, business or retirement, you can conveniently and comfortably start a new life with a 3-bedroom unit. Floor – ceramic tiles for the entire unit including the toilet and bath. Walls – the walls for the bedroom, living and dining areas are made of reinforced concrete and gypsum board on metal studs. They have a smooth paint finish. For the kitchen walls, reinforced concrete is used with a smooth finish. The toilet and baths have ceramic tiles for their walls. Ceiling – Except for the toilet and bath, the ceiling of the entire unit is made of exposed slab soffit with a smooth paint finish. For the toilet and bath, it uses fiber cement of metal furring with smooth paint finish. Others – The kitchen counter and cabinets have laminated cabinet doors, porcelain countertop and porcelain splashboard. Amidst the urban sprawl of Dumaguete, it’s nice to have a quiet and safe sanctuary at the end of the day and the Marina Spatial offers this. Filinvest Marina Spatial in Dumaguete City, Philippines is a premier Condo project available for sale. If you're looking to rent or purchase Marina Spatial, then check here first. We have full details of Marina Spatial updated regularly as well as everything you need to know about the availing and booking process, broken down into stages that includes selecting a unit, choosing a payment plan and buying your dream home at the right price. For price list, free site tripping or showroom visit, personalized service, model house, unit plans, floor plans, payment terms, CHAT LIVE with an agent 24x7. We are Remax Perfect Homes. Always only buy from PRC licensed Real Estate Brokers and Agents. In 2007, Dumaguete City was listed by the US-based Islands Magazine as among the 20 best islands to live on. The magazine has a monthly circulation of almost half a million copies every month. In 2014, Forbes Magazine picked Dumaguete City as the top 5 among 7 contenders as the best places to do business and to retire in the world. Forbes’s listed 12 factors for their choice. The factors are: real estate competitive price, health care, cost of living, infrastructure, entertainment, peace and order, taxes, climate, minimal language barrier, existing expat community, environmental condition and crime. Spatial has an option for longer term of payment compared to FLI’s other property developments. After paying the necessary reservation fee (deductible from the total price), a 10% down payment is required but payable within 24 months. The remaining 90% is payable within 5, 10 or 15 years in equal monthly amortizations when course through bank financing. The project offers 3 distinct residential units where homeowners could choose the right one for them. The size could fit spaciously individuals, partners and small to medium size families. The Studio unit is less than 32sqm of floor area; the 2-BR unit has floor area of 32sqm while the 3-BR unit has 64sqm of floor area. All units though are products of well-designed and precisely built with the expertise of Filinvest’s world-class designers and builders.